Charlize is one month old. 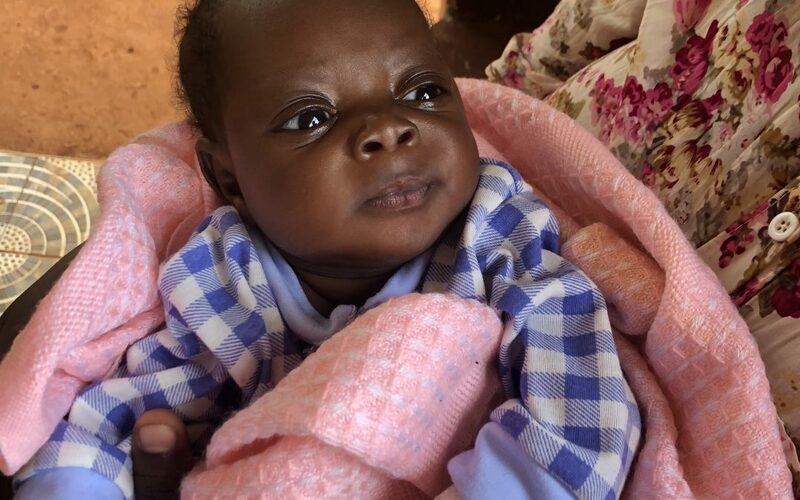 She was having breathing and feeding difficulties and was brought quickly to the clinic by her mother Eunice and grandmother. Fortunately she was immediately seen by the Clinical Officer who diagnosed pneumonia. Pneumonia is the second leading cause of death in children under five years of age in Kenya and there is great emphasis on early diagnosis and treatment. Charlize was admitted for two days into our in-patient clinic and given IV fluids and antibiotics. Thankfully she responded really quickly and was able to go home with her health restored. Her mother and grandmother were so grateful for the treatment she received: they said that ‘Buburi is the best clinic around with good quality drugs’.